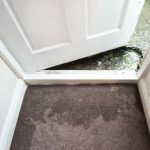 Dealing with water damage is not as simple as mopping the floor. And then again, home disasters don’t stop with broken pipes and roof leaks. When the substrate of the structural elements in the home are affected by water, mold grows. 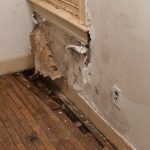 But hold on a minute, mold infestations don’t occur only when there is water damage but due to intense condensation as well. And the list of home disasters also includes fires and smoke damage that comes after. If you don’t need a pro restoration company for such calamities, when will you? We are here to explain the importance of choosing the right company for restoration solutions not just to remedy the damage but ensure you get a fresh start. How can a restoration company help you make a fresh start? How will you make a fresh start after water or fire damage if the calamity is not handled right? This question is the short version of explaining the significance of finding the right restoration company. No matter of the severity of the problem when the calamities occur, the aftermath is equally bad. 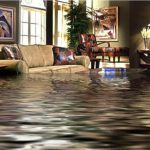 Water damage comes with secondary water damage. Fires bring smoke and fire extinguishing enhances soot and leaves behind water. In both cases, there will be moisture and thus the ideal conditions for mold infestations. In order for you to make a fresh start, you need restoration companies that will take care of the calamity down to the last detail. If you are dealing with water damage, you need a company to mitigate the problem, dry the area, and inspect for mold. If there is a fire, the company should be there once the firefighters are done and ready to restore fire, soot, and smoke damage. They should also extract firewater and if needed, provide mold removal. To make a long story short, they should be ready to deal with your home disasters and in an effective way. The experience of the disaster restoration company will make a difference. Why? Because experienced companies know how to deal with calamities and prevent future problems from happening. Take mold, for example. Without mold remediation after water damage, the hazardous fungi will remain intact and thus continue to affect your health over the years. If fire damage is restored but smoke odors are not removed, you will not return to a healthy home. So when you search for pros to deal with your home disasters, you need to find well-equipped experts but also available 24 hours and ready to respond to your call urgently. 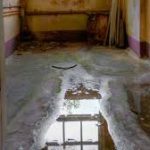 Who can wait for water damage restoration for long when the house is flooded? So, it’s always best to choose a local company. If you live in the San Jose area of CA, it’s best to find a company that provides Bay Area restorations services. Last but not least, you need a water and fire damage restoration company that will be able to handle matters with your insurance agent. The faster your claim is settled the better for you. It will make your life so much easier and you will be able to come back home without extra worries. 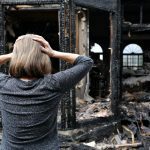 How will you deal with fire or water damage without an expert company? Why do you need a company at all? Because for starters, sewage back and cleanup afterwards is not safe for you to deal with. And then, water travels quickly and creates damage to areas not visible at once. Whether for water or fire damage remediation, it’s a matter of preventing health issues and restoring property damage so that the indoor air quality will be fresh and there will be no hidden threats. That’s the way to make a fresh start. That’s the reasons why you need to hire the right restoration company.